The long cold winter is finally coming to an end, so it’s time to plan the perfect warm-weather vacation. One of the hottest destinations this year is Cabo San Lucas, Mexico. Just thinking of the sun, sand, and margaritas put us in a better mood. Now is the best time to find your perfect stretch of beach or pool cabana. 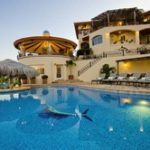 Instead of booking directly with an overpriced resort, change up your vacation routine by checking out these amazing deals on luxury timeshare rentals in Cabo! The word “timeshare” can spark strong feelings in vacationers who have sat through a long-winded presentation for an underwhelming reward but don’t shy away from these great opportunities! By renting a timeshare, you can enjoy all the perks of a luxury vacation without the burden of timeshare ownership. You’ll even be relieving the worries of a timeshare owner who couldn’t use their vacation time. It’s a total win-win! To rent a timeshare, you’ll have to use a different booking website to reserve your vacation. The prices you’ll find on a resort’s website or third parties like Expedia or Priceline are inflated, and the money goes directly to the resort. By using a site like Redweek.com, you will rent directly from timeshare owners and your money goes right to the owner. You cut out the middle-man, and that’s why you’ll get such great deals! There are plenty of Cabo San Lucas beach resorts and residence clubs that offer timeshares, so you can find a property that fits your vacation style and budget. Here, we’re highlighting three of our favorite properties that are available at up to 50% off! Our favorite words when vacationing? All-inclusive. At the Sunset Beach Golf and Spa Resort, you’ll get luxury and privacy all at one great price! 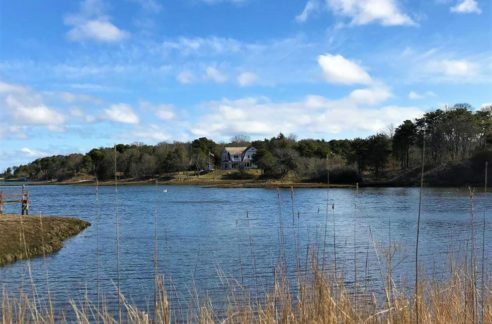 The resort is located within an exclusive residential community on a private stretch of coast for fantastic ocean views and wide-open beaches. It is minutes from lively downtown Cabo San Lucas so you can enjoy a peaceful day on the beach followed an exciting night on the town. The accommodations here are gorgeous. Each suite features an ocean-view balcony or patio perfect for your morning cup of coffee. Take advantage of 24-hour room service or cook a leisurely meal in your kitchenette. When you finally decide to leave the luxury of your room, you can enjoy the other incredible resort features – a Jack Nicklaus Signature golf course, the award-winning Armonia Spa, and the private white-sand beach. This resort is also the best deal on our list! Travel this fall, and you can find timeshare rentals from just $170-$180 per night. That’s a 52% savings over the rates on the resort’s website. What can be better than more vacation for less money? The Sunset Beach Resort is one of our favorite Cabo San Lucas timeshares currently for rent. Scenery doesn’t get any more stunning than the rocky cliffs and bright blue water that surround the Grand Solmar Land’s End Resort and Spa. If you’re looking for pure relaxation, this is your spot! The Land’s End Resort is tucked away at the end of a small peninsula for the ultimate quiet, private getaway. Grab your chair beside one of their pristine infinity pools or stretch out on the sand – your next cocktail is just a swim away. Find your bliss at the Spa by the Sea with a relaxing treatment in their incredible Sea Spa Cabañas. With the sound of waves and the soft breezes, this spa is a totally immersive sensory experience. Their suites are spacious and inviting with deluxe amenities. Enjoy your ocean view from your private terrace and then unwind with a soak in your Jacuzzi tub. The Land’s End Resort is a complete escape from your everyday routine. If you can find time to travel late this spring or later in the fall, you can find unbelievable rates on this luxurious experience. Timeshare owners are renting ocean view, studio suites for $210-$265 per night, about 30% less than the resort’s advertised rates of $377 per night for the same period. Turn your savings into a few extra spa treatments and poolside drinks at this premier beach resort. If you prefer a more residential and less resort feel to your vacation, the Montecristo Estates Luxury Villas by Pueblo Bonito will delight you. This villa community is located inside the same residential community as its four sister beach resorts so that you can enjoy many of the same amenities. Soak in the stunning landscape of Cabo in your own private escape. Your 3-bedroomed villa will feel like home, but better. 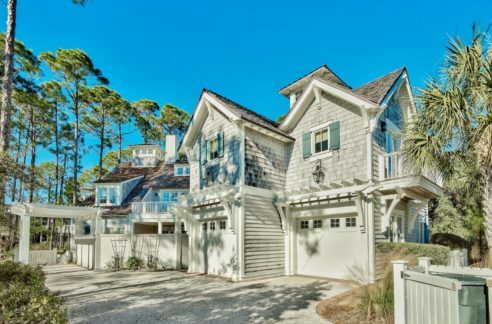 Maid and butler service are just a couple of the perks of these vacation homes. Each three-bedroom villa has its own pool and Jacuzzi for the ultimate privacy and luxury for you and your guests. Cook meals in the gourmet kitchen or enjoy the many bars and restaurants at the nearby resorts. Enjoy a round of golf on the Jack Nicklaus Signature course or let the concierge help you plan amazing excursions. Engage their babysitting service for an adults-only night out. They even make getting around simple with transportation service to their sister resorts so you can enjoy all of the amenities with ease. The resort’s advertised prices of $733 per night aren’t shocking for such an indulgent experience, but renting from a timeshare owner makes the deal even sweeter. With rental prices as low as $425 per night starting in October, you can bring the entire family. This is the ultimate Cabo San Lucas timeshare rental. If you’d like to make your Cabo vacation into an annual tradition, you may want to look into purchasing a luxury timeshare at your favorite Cabo San Lucas resort! Purchasing a timeshare can be the best vacation investment you’ve ever made. Though it is a big expenditure initially, you’ll save on vacation expenses every year thereafter. You can even trade your timeshare to visit a new place or rent it to other savvy vacationers! You’ll be guaranteed time at your happy place year after year. If you haven’t already opened another tab to start searching for your dream vacation, what are you waiting for? These amazing rental opportunities won’t last long. Become the savvy traveler that all your friends will envy by taking advantage of this insider’s tip on luxury timeshare rentals. Your perfect Cabo vacation is waiting!